A Christian might find it difficult to convince an atheist of God’s existence. Likewise, an atheist might find it equally difficult to convince a Christian of the nonexistence of God. However, if an atheist were to go on record as highlighting the value of religion, perhaps it would be wise for us to pay heed to what he says. Well, an atheist has done just that. 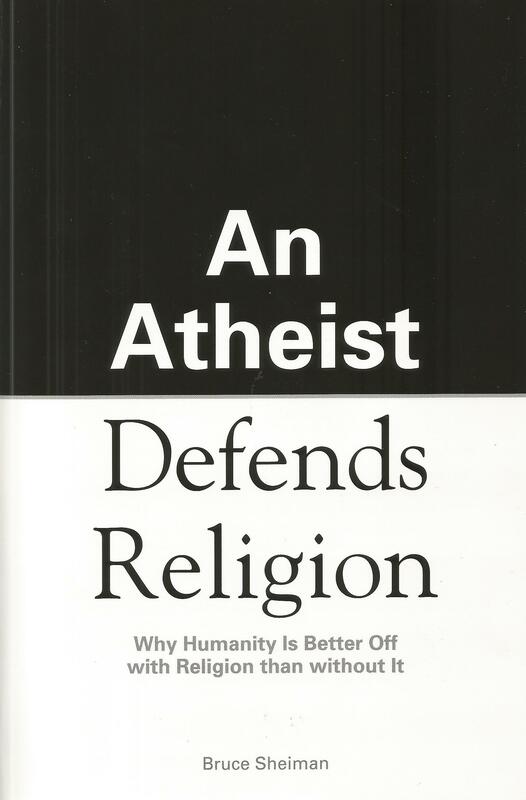 Bruce Sheiman, who maintains the Atheist Nexus website, has written a book, An Atheist Defends Religion, in which he contends humanity is better off with religion than without it. In other words, though he claims he cannot believe in God, Sheiman still feels the need for God. The author’s approach is radically different from books written by other atheists. Witness, for example, Richard Dawkins’ The God Delusion, which is often criticized because of its stridency. Sheiman elaborates on the functions of religion. First, religion is about finding the meaning of life, linking us to the transcendent dimensions that make up our lives–humanity, nature and the universe. Second, religion is about caring for humanity. Third, religion is union with the divine. Fourth, religion is deepening the soul. Finally, religion is a force for progress, including human rights, science and universal ethics. Sheiman does not shy away from thorny issues, one of which is the oft-made claim that religion is the foremost source of the world’s violence. By way of response, he posits three realities: most religious organizations do not foster violence, many nonreligious groups do engage in violence, and many religious moral precepts encourage nonviolence. Does Sheiman answer all the tough questions related to role of religion in society and in people’s lives? Far from it. If you are looking for either proof or disproof of God’s existence, this book is not for you. Instead, the author defends religion as a cultural institution and, as such, says it is of enduring value. His modest proposal–that religion need not be relegated to the fringes of human striving–is incisive and engaging and worthy of consideration.